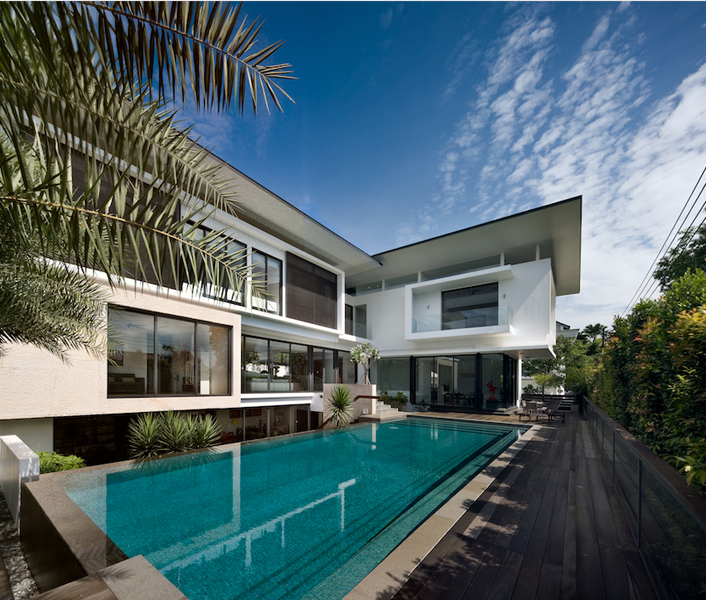 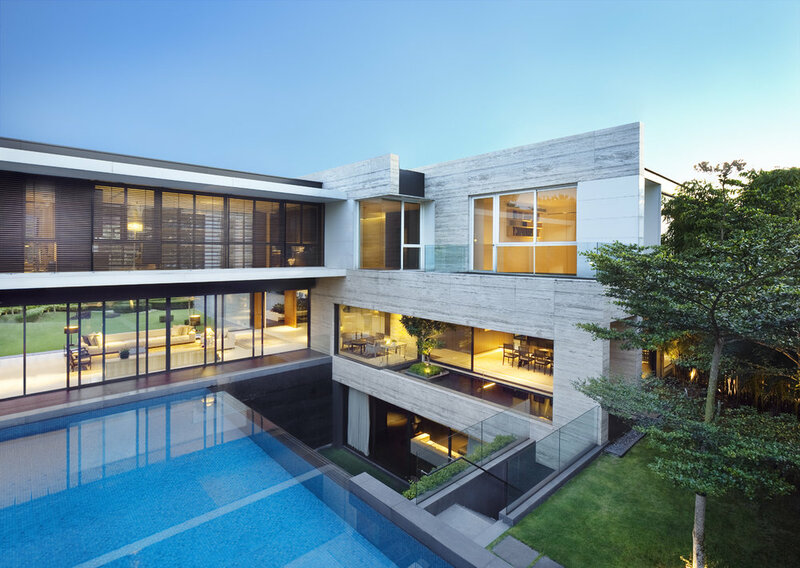 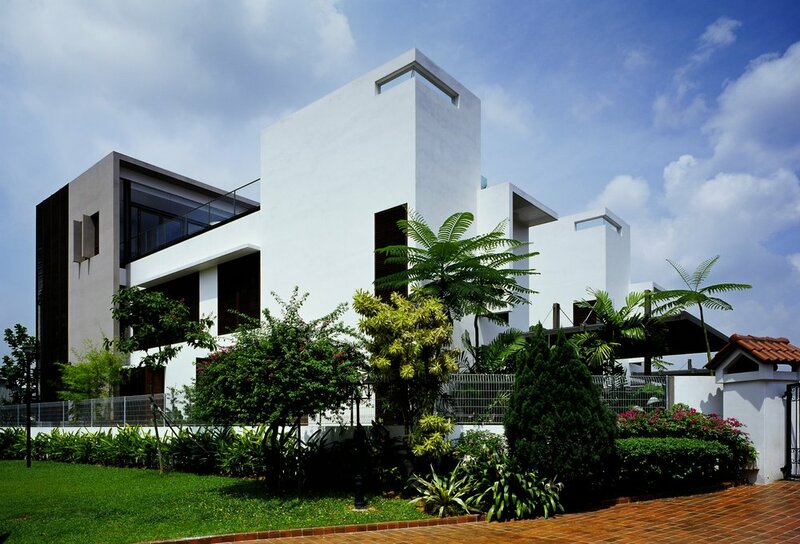 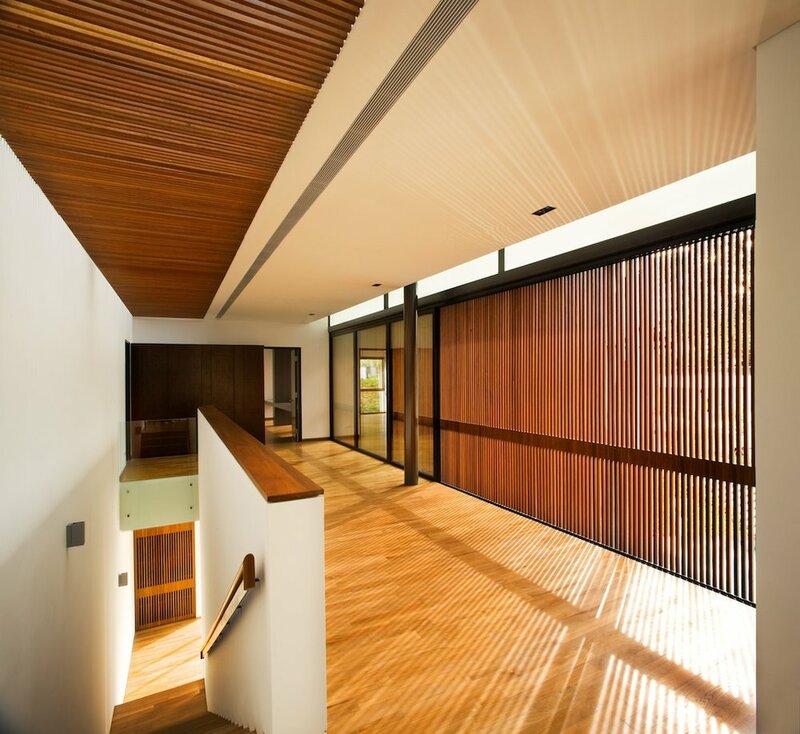 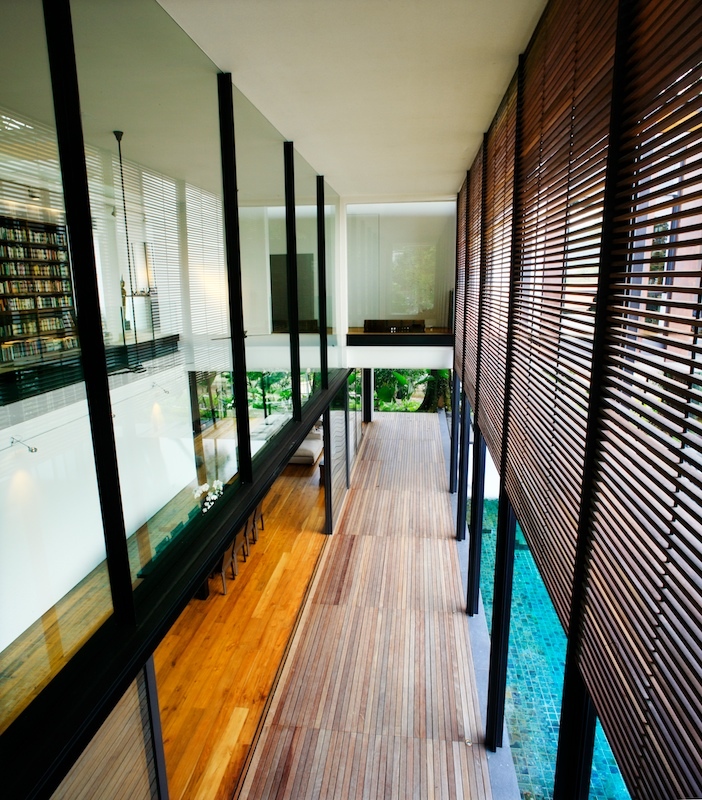 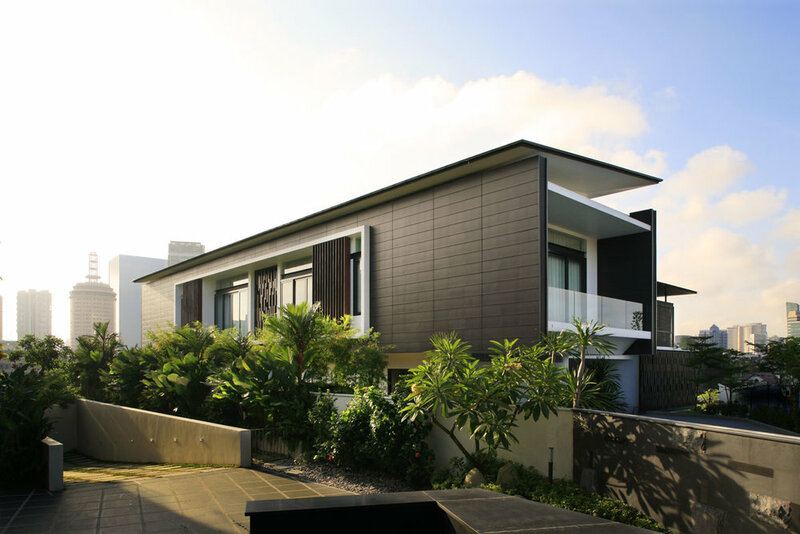 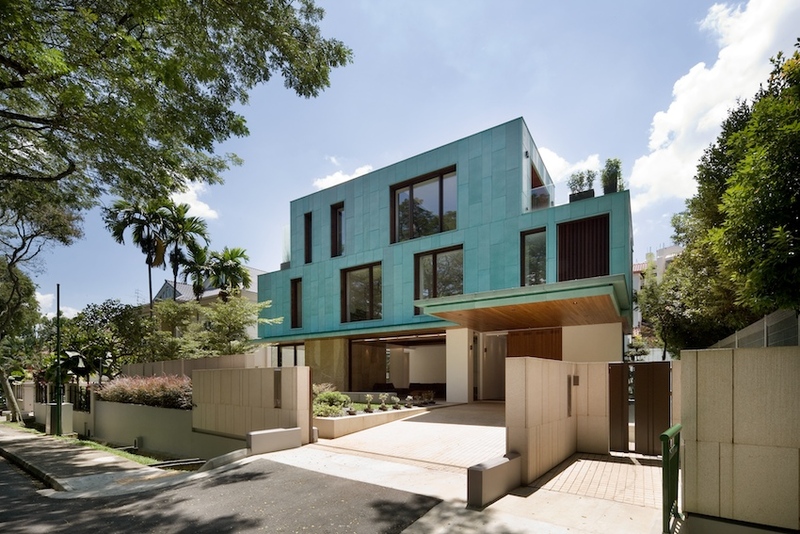 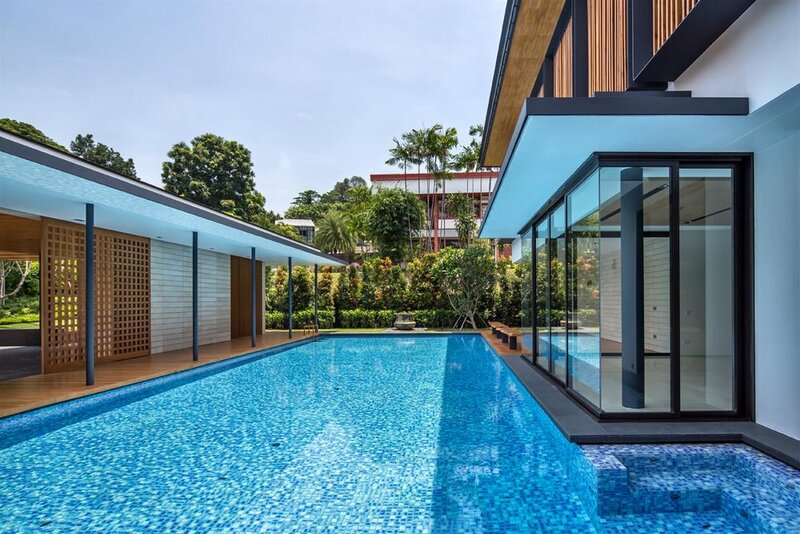 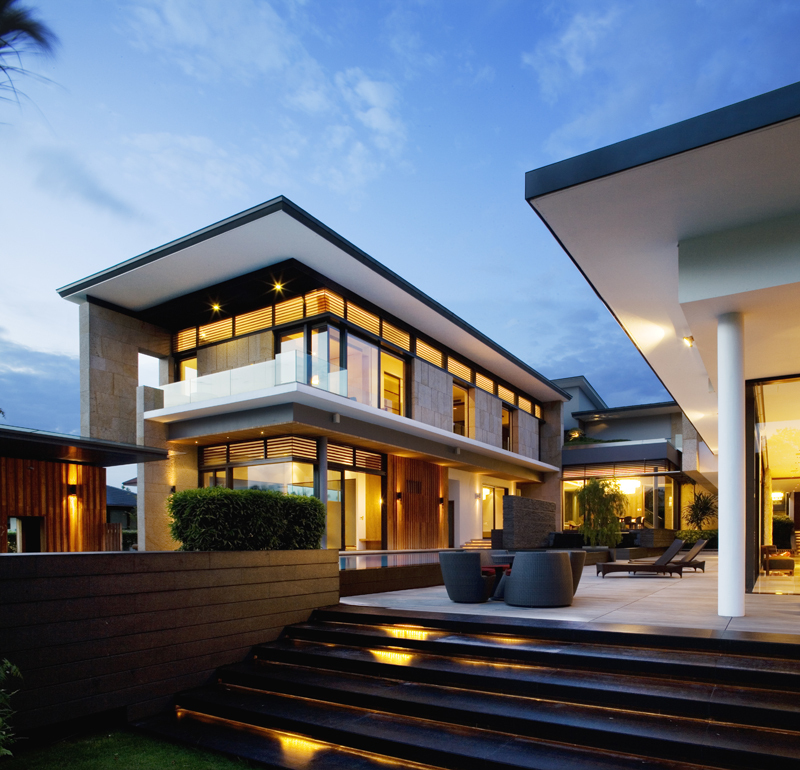 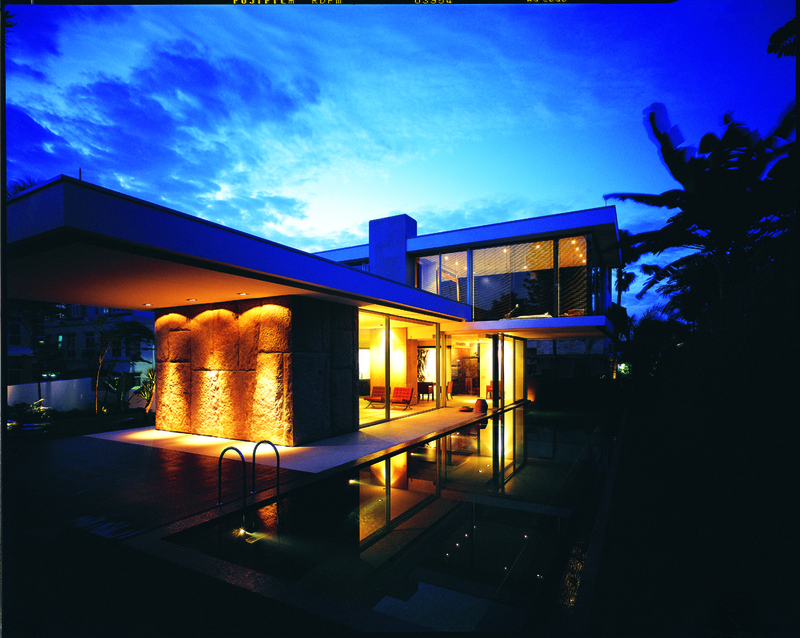 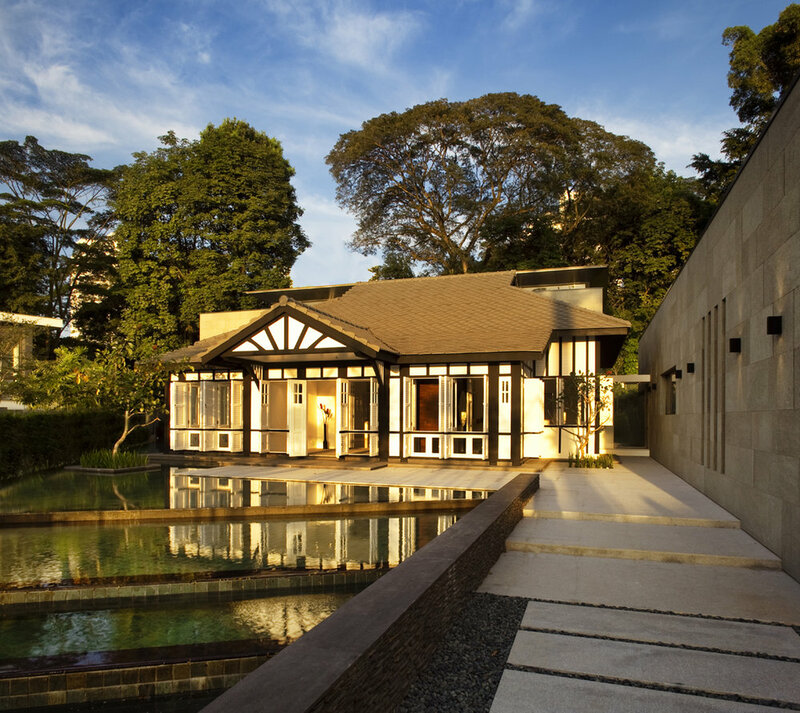 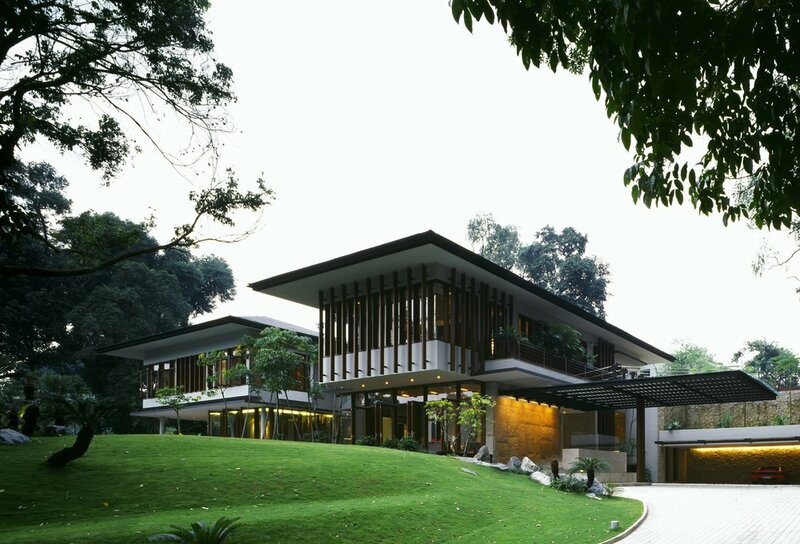 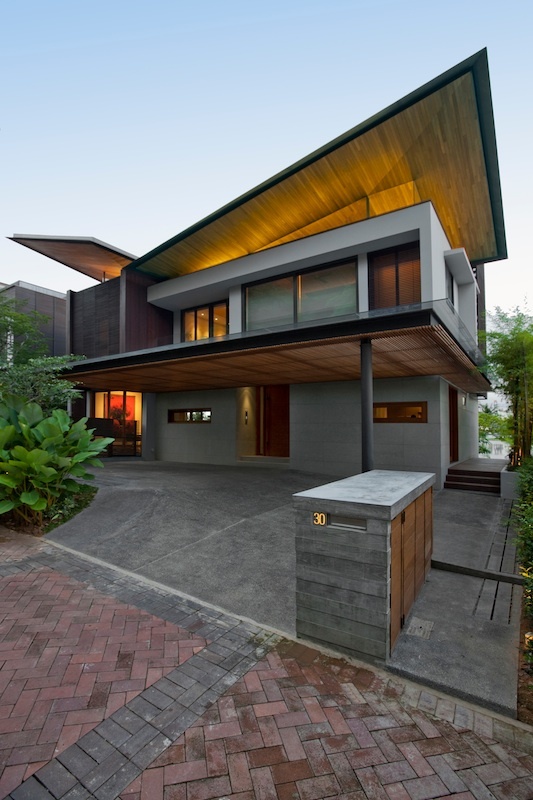 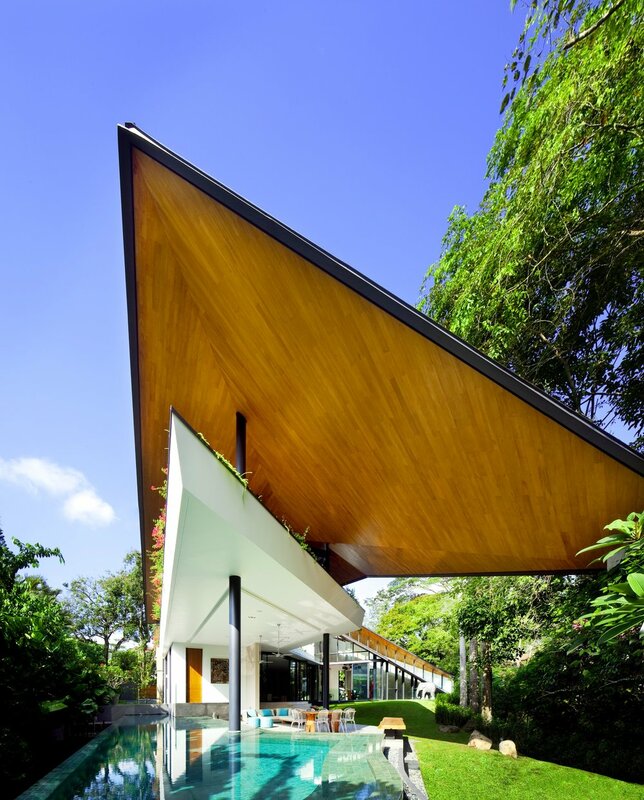 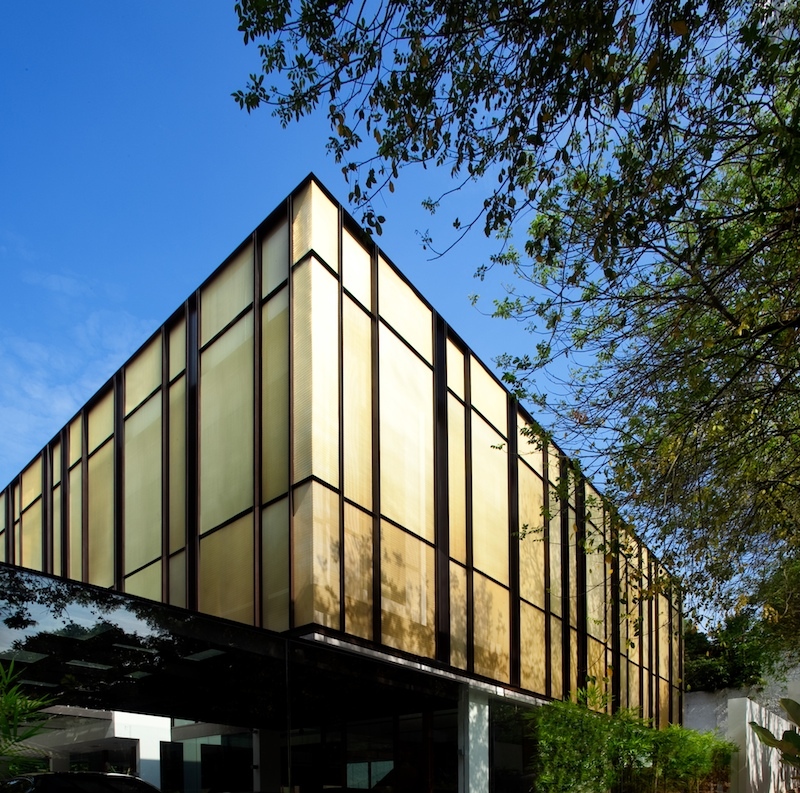 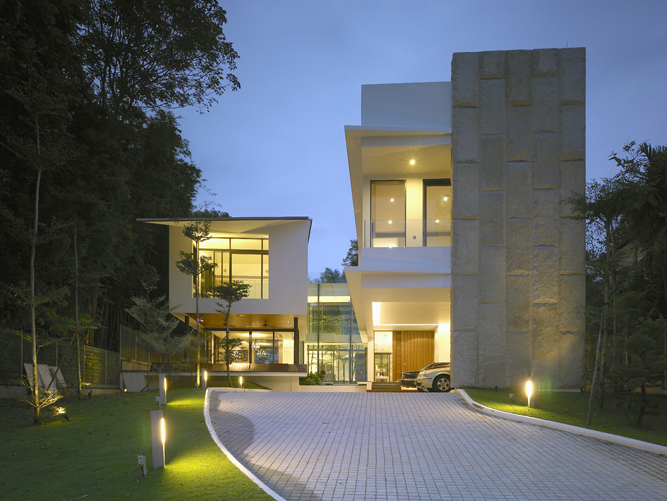 Located in the western side of Singapore Island, this house stands as a monolithic Green Building, quietly complementing its context – a lush park opposite the plot. 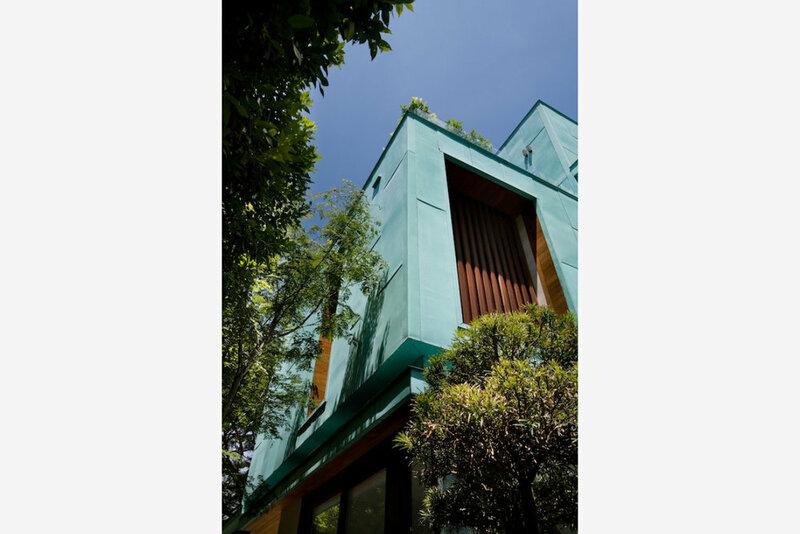 From the outside, the house is a Patina-aged copper cladded cube with window openings and timber infill carved into the façade. 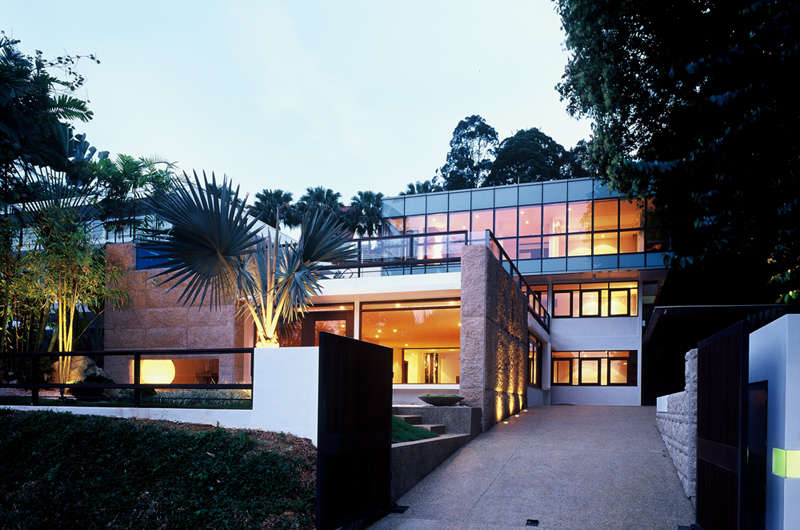 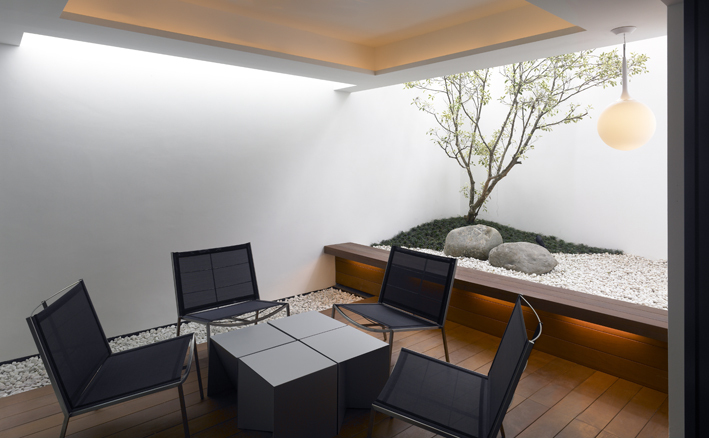 Inside, the spaces are varied with the interplay of double volumes, curved ceiling and sculptured gardens.